How do 4CITIES graduates bring the lessons from their studies into real world practices? Kieran Toms (Cohort 05) shares some insights and experiences from his work with London-based Create Streets. Since finishing 4CITIES in 2014, I’ve been living and working in London, where I was born and raised. London’s a strange place, in a strange time. I arrived back in Britain’s capital with a head full of European best practice. A sense of the forces and processes that affect cities. An understanding of how those forces can be tamed, or turned to one’s advantage. In the 4CITIES Copenhagen term I spent time working at Copenhagenize, learning about how and why cities can and should embrace cycling. I set up Copenhagen Free Bike Rental with three of my cohort. I also cycled around all the time, and enjoyed the convenience, the freedom and the positive impact on how the streets worked (cleaner, quieter, more enjoyable to be on.) It began to seem like common sense. Back in London I took a job at an outer London local council, working to think about how streets worked in that borough. It was a little different to the glorious cycling idyll of Copenhagen, but I was part of a dedicated and passionate team, and whilst car usage was rather higher than in Denmark’s capital, there was steady progress. But government cuts meant that every few months another job was lost from my broader department. In my team, at one point, two of us were covering what had previously been the roles of five people. I learned, through that job, that things can’t be taken for granted. Without a better alternative, or the right information, people get scared and defensive, and they apportion blame in the wrong places. They shout loudly about the loss of a parking space on their road, whilst London withers in the poisonous air of millions of car-exhausts. But of course, the car parking space is a tangible issue they deal with every day. Anyways they wouldn’t cycle, they say: too dangerous, too many cars on the road. The air slowly killing us, by contrast, is a vaguer, more distant prospect. Since then I’ve changed jobs. And Brexit happened. Things can’t be taken for granted. Without a better alternative, or the right information, people get scared and defensive, and they apportion blame in the wrong places. I joined the social enterprise Create Streets. Founded by a former banker, it’s very ‘London’ in that respect, a juxtaposition of contrasting worlds. He was bored of his old job, and intrigued by the lack of evidence underpinning much (if not most) architecture and urban design. If Brexit Britain has taught me anything, it’s the value of evidence. They wrote on a bus that there’d be £350 million more a week for the National Health Service if Brexit happened – then the morning after the vote, they denied it. If my time on 4CITIES taught me anything, it’s the value of evidence. You see how things work, you see how things don’t work, you experience them, you study them. Of course, evidence is used in urban design. But it’s probably fair to say that some cities use it better, or more prominently than others. Copenhagen’s Bicycle Account springs to mind as a good example. Some evidence is hidden away in obscure journals that impact academia but don’t necessarily impact on people’s everyday lives. This matters. In London it matters because of England’s weird planning system. We drive on the wrong side, don’t want to join the Euro, can’t speak any foreign languages, and wrought special concessions out of the EU then decided to leave it completely. So it may not surprise you to know that our planning system is also stubbornly and ineffectively different. I won’t bore you with too much detail, but essentially, unlike almost every single other country, there is no zoning. Local governments can vaguely recommend what happens on sites, but cannot actually do much to make it happen themselves. Instead, each site is contested. Larger developers produce thousands of pages explaining why their proposal is ‘appropriate,’ and why they simply must build something atrocious and unaffordable. Increasingly outgunned and under-resourced, it’s a struggle for local governments, and the people they represent, to have a say about what happens to the city around them. So, it seems, evidence in the hands of the powerful can be skewed, misrepresented, obscured. At Create Streets we try to assemble evidence. We carry out research, then apply that research in actual practical situations with real people. The research we do, and the evidence we gather, is varied. We studied hundreds of different papers looking at the links between built form and happiness and wellbeing, identifying the proven links as comprehensively as we could. It is vitally important to be able to prove the case for built environments that are genuinely good for wellbeing and are beneficial to the city as a whole. We’ve since expanded on this type of research, looking at the links between value and the built environment. How far is value an accurate way of assessing the quality of a place? We looked at 160,000 data points to do with the built environment, and their relationship with house prices. Our study showed some things that you might expect: people (if they can) will pay more for a well-connected property away from too much noise, pollution and one way-streets and within walking distance of greenery and other local amenities. But interestingly, air quality does not have much of an impact on value, at the moment. Is it too vague, too distant, too intangible? There were other discrepancies too, things that a focus purely on economic value would miss. Having the evidence to show that is a powerful weapon, especially in such a money-centric city like London. At Create Streets we sat down with the community and drew up alternative plans for the site, in line with what the community actually wanted, and are helping them campaign for its implementation. We do this frequently, across London, trying to prove the case for real citizen engagement. We advocate co-design rather than consultation. 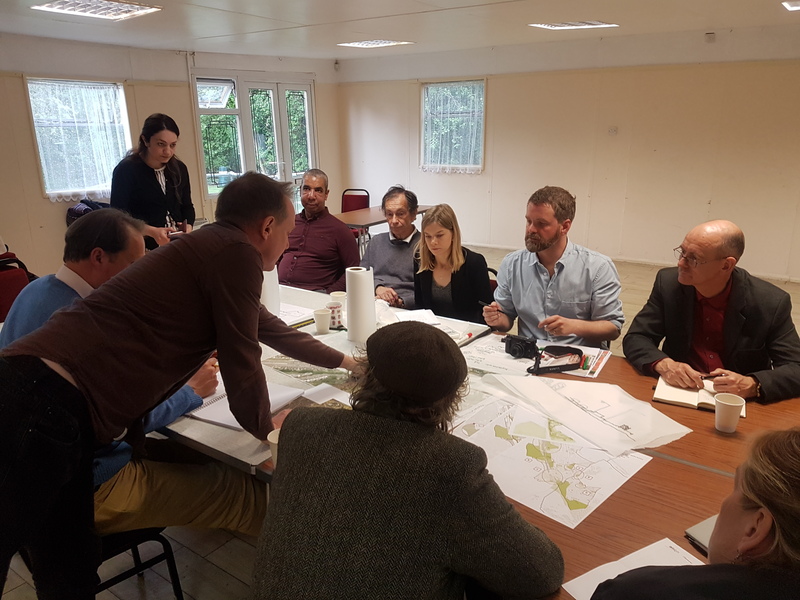 Co-design means the community sitting down with architects and urban designers, and drawing up the plans together, with pens and paper. 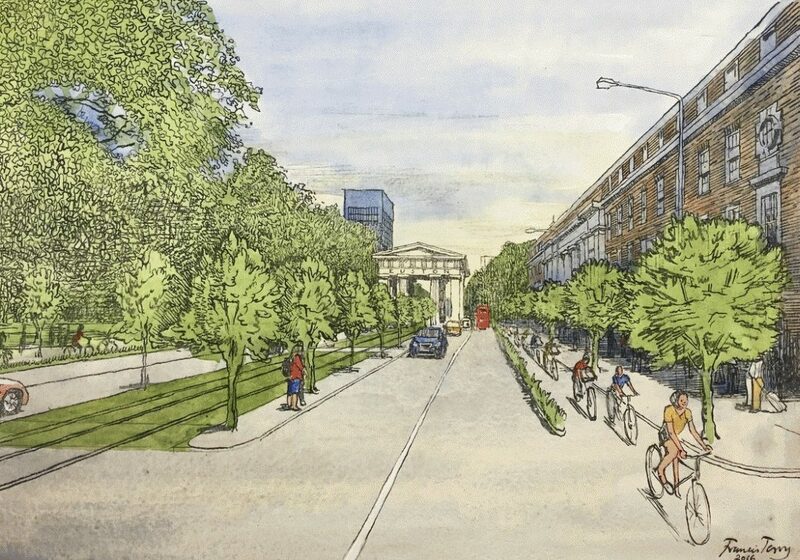 Consultation, by contrast, can be underwhelming, misleading, or faked: “we’re building this. What colour would you like the doors?” We’ve begun to be involved on projects from a variety of angles – often brought in by the community, but sometimes now brought in by councils or housing associations who are genuinely trying to do things a better way. 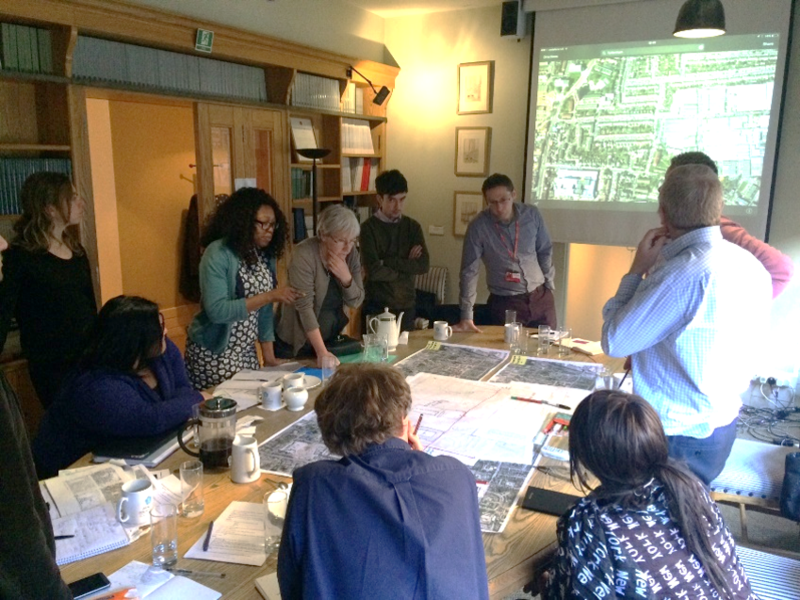 We also train communities in urban design in parts of London that are soon to be visited by that catch-all buzzword (and often displace-all process) of regeneration. 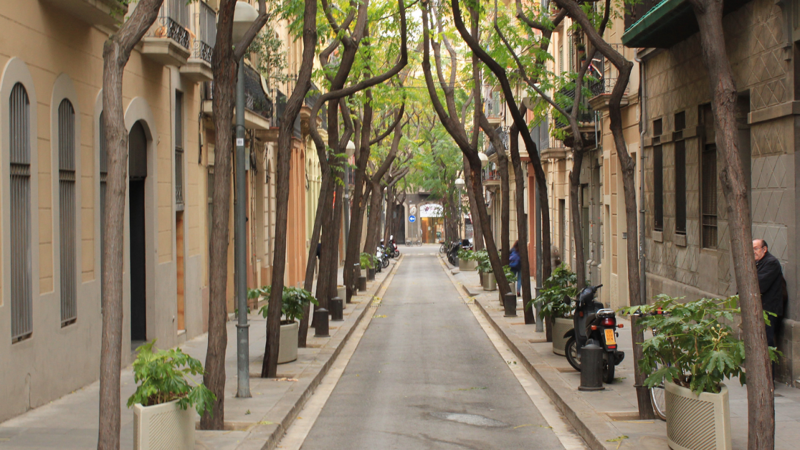 We teach them the basics of urban design – what the frequently-misleading jargon really means, and how those terms actually relate to what they experience in the places they live. We teach them about the processes involved in urban change, and how they can impact that change, or even instigate it themselves. We take them to good and bad developments. It’s a bit like a very mini 4CITIES, which, thinking about it, is maybe why I like it. What people want and what is good for them isn’t usually vastly different. People do actually know what they want to have in their lives. Giving them a voice in the whole process leads to positive outcomes. But people don’t often get the opportunity to be listened to. Genuine democracy should be an ongoing process of people making pragmatic, difficult decisions. Acknowledging that there might need to be trade-offs and compromises, but working together over time to find the best way forward. Recently I attended a workshop at London’s City Hall. Mayor Sadiq Khan had called in housing practitioners from across the capital to discuss how to solve its myriad problems. One of the topics that came up was the recent call from Labour leader Jeremy Corbyn for councils to give estate residents a ballot on what should happen to their estates. At Create Streets we agree with this policy. But the counter-argument presented at the workshop was a telling one: how do we avoid a Brexit-style situation? Nobody in the room wanted another polarised, evidence-less vote on an uncertain future.